Today, social media is reaching an omnipresent-level in business. Social media websites, like Twitter and Facebook, give customers a louder voice and larger reach than ever before. One ignored, seemingly insignificant, comment from an irate customer can easily gather enough momentum from the social web to snowball into a major crises for your marketing department. It is necessary for businesses to manage and respond to the sea of feedback found on the social web in order to stay afloat in today’s marketplace. 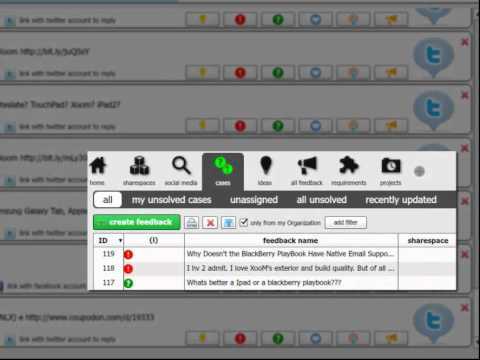 OneDesk provides organizations with one central location for all feedback as well as the tools necessary to stay on top of the social web and produce meaningful results from it while ensuring nothing falls through the cracks. OneDesk’s social media monitoring tool allows businesses to not only prevent disastrous customer service issues, but also to extract value from the social web and integrate the customer’s voice directly into the product development process.